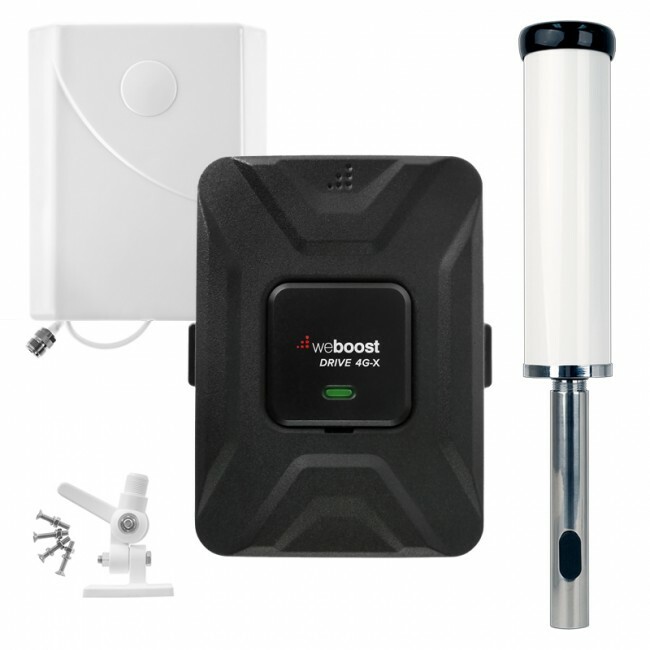 In the time since the FCC regulations were put in place for cell phone signal boosters, the maximum coverage area that you could attain with any booster had a limit, and once that limit was reached, then you had to add in a second system to provide additional coverage. Irrespective of the improvements made to new boosters, that coverage limit was always there. With the release of the Wilson 463127 Pro 70 Plus Signal Booster, it is possible to achieve up to 6 times the coverage inside of a building, if you have a strong outside signal. 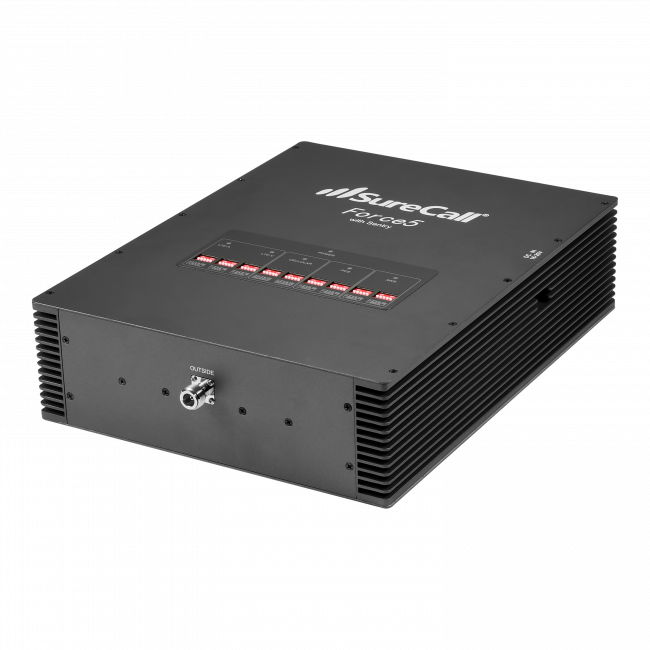 Wilson Electronics, now known as weBoost, has been petitioning the FCC to allow them to increase the downlink power for the signal coming from the tower into the building, and that petition has finally been granted for the Wilson Pro 70 Plus. This means that the Wilson Pro 70 Plus amplifier will be able to receive and use an outside signal that is up to 12 decibels stronger than the usual signal strength that overloads all other amplifiers. That 12 decibels translates into an internal coverage area that is up to 6 times the size that that other amplifiers are able to provide. So basically, if you have a strong outside signal and need a LOT of coverage inside of your building, the Wilson 463127 Pro 70 Plus is the ideal booster for you. It is important to note that if you have a weak outside signal, then the Wilson Pro 70 Plus will provide the same boosting power that you would receive from any equivalently sized amplifier, like the Connect 4G-X, which is still excellent, but it's the strong outside signal where this booster really shines. 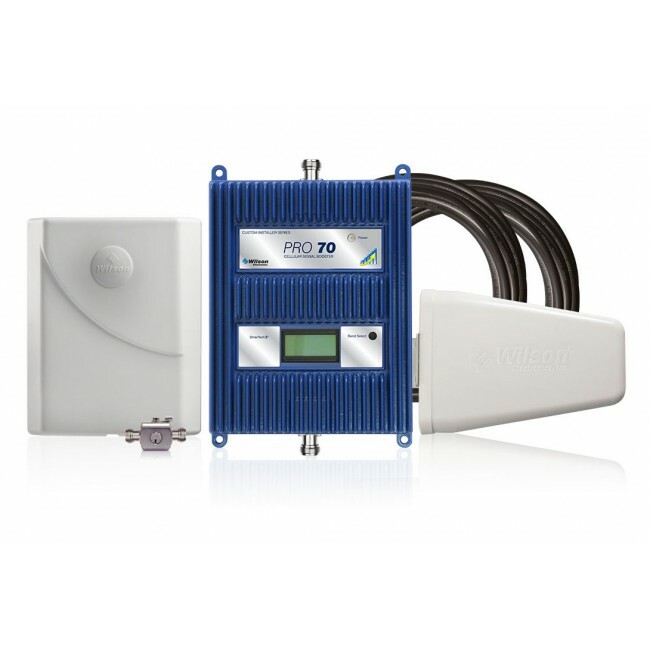 In addition to the significantly improved downlink power, the Wilson 463127 Pro 70 Plus features a new LCD display that allows you to see how attenuated each frequency is, which is perfect for troubleshooting problematic installs, and has a brand new, state of the art Automated Gain Control (AGC), which adjusts the frequency gain in a much more intelligent and efficient manner, for unparalleled performance by the Pro 70 Plus. If you're looking for a great priced amplifier that can handle strong outside signals and provide a huge inside coverage area, then look no further, the Wilson 463127 Pro 70 Plus is for you. The Wilson 463127 Pro 70 Plus is available to all consumers and professional installers, but is not available for sale online. 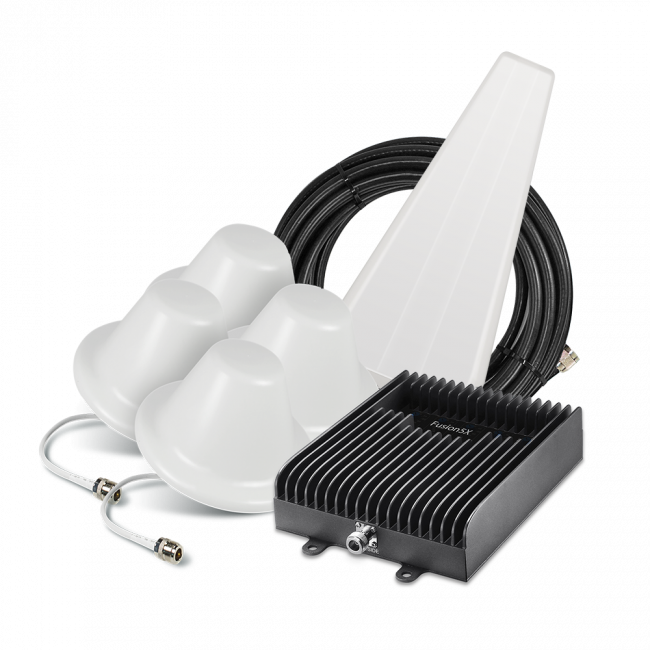 If you would like to purchase this signal booster kit or have a custom kit designed with it, please give us a call at (800) 590-3564.